November is National Stress Awareness Month. The Mental Health Organisation says as many as 12 million people will see their GP about stress each year. These are my top 3 stress busting apps. 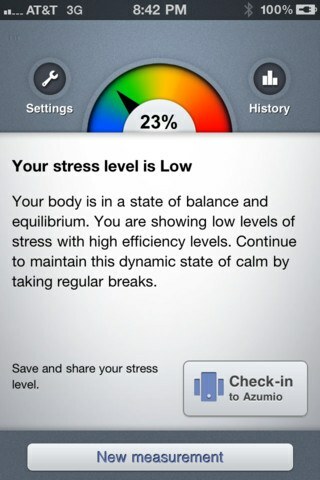 Stress Check by Azumio is available for iPhone and android and is an easy way of measuring your stress levels. Simply put your finger over your camera lens, press the button and wait for a minute. Stress Check will give you a stress score. 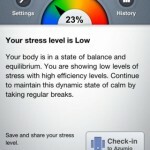 It assesses your stress level based on your heart rate variability. When we are highly stressed, there is less variation in the time between our heart beat. Focus@Will is a great app when you need to zone out and get things done. Focus@Will developed this app in partnership with leading neuroscientists Dr. Evian Gordon (www.brainsource.com) and Dr. Stephen Sideroff (UCLA Professor of Psychology). The music is designed to work with our limbic system to increase our ability to focus and reduce the influence of our stress response system (the fight or flight response). I notice that I’m way more productive and focussed when I have this music playing the background. You can choose from a variety of different music genres from classical to spa and most things inbetween. 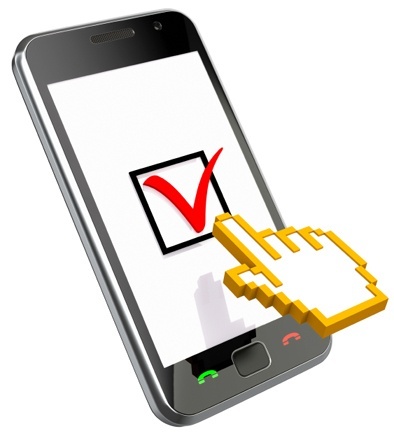 They offer a 30-day free trial so there’s no risk in checking it out. This one is for all you sporty people and weekend warriors. Recent research led by Chris Power who is Professor of Epidemiology at the University College London, has found that being physically active can reduce your risk of depression by 16%. However, overtraining or not resting appropriately between training can be detrimental. Not only does it reduce performance over the long run, because you bank the gains from your training when you’re resting; it can also increase the risk of injury and lower your immunity. Restwise is a handy app which provides you with a recovery score based on your answers to 15 questions, including your heart rate and SPO2. The questions take about 10-seconds to answer. Don’t worry you can buy an oximeter which is a handy little gizmo that goes on your finger and gives you your heart rate and SPO2. It costs US$30. I received mine within a week of ordering. SpO2 is shorthand for peripheral capillary oxygen saturation. It is an estimate of the amount of oxygen in your blood based on the percentage of hemoglobin binding sites which have oxygen attached to them.